These are the associations “wa ij’alni minat tawwabeen wal mutatahireen”. That Allah (‘Azza wa Jal) granted their Islam to become more real and they ask, yaa Rabbi we are constantly asking and begging Your Forgiveness. And that this is the abode of difficulty, this Earth is the place of difficulty and testing. That they are asking Allah (‘Azza wa Jal)’s infinite forgiveness and that Allah (‘Azza wa Jal) to send a means in which to be mutatahireen to be purified and cleansed. Allah (‘Azza wa Jal) loves those who are clean and constantly trying to clean themselves. Alhamdulillah the greatest gift for Creation is the month of Ramadan. The month of Ramadan, in which Allah (‘Azza wa Jal) cleans the soul, cleans the ego, dresses the soul and destroys the ego. A month in which siyaam (fasting) is a means in which to annihilate the nafs (ego), obliterate the nafs and adorn the realities that Allah (‘Azza wa Jal) wants for us upon the soul. A means in which the soul achieves what it has to achieve. And that Allah (‘Azza wa Jal)’s Lights comes fiercely against the ego to destroy the ego. May Allah (‘Azza wa Jal) grants us these lights, grants us these blessings. From Mawlana Shaykh’s teaching that we are asking to inherit from muttaqeen, whom Allah (‘Azza wa Jal) granted such high levels of consciousness and realities. A reminder is that they are fasting with all of their senses. The fast of the beginner (level) is to fast by mouth, abstaining from food for a certain number of hours which seems so difficult but truly it is not difficult. When these orders were coming for the Companions, they were fiercely engaged in struggles in 130℉ – 140℉ (50°C – 60°C) temperatures, with very little water and their lips and tongue would crack from dryness. Allah (‘Azza wa Jal) now gave us a life of luxury with air-conditions and all sorts of amenities, and with ease. Alhamdulillah that reward is still coming upon us and dressing us, as a tremendous gift upon the soul. 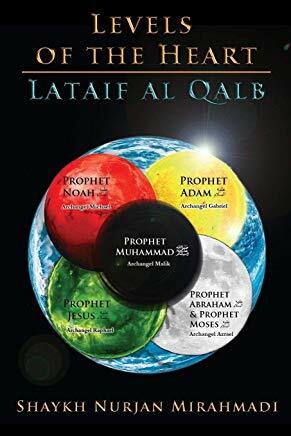 To understand that yaa Rabbi we are asking to inherit from Your highest realities, that we are following from the highest level of Awliyaullah; that they are all muttaqeen. And that Allah (Azza w a Jal) granted them a high level of taqwa upon all their senses. A reminder is that they are fasting with their ears. As the holy month of Ramadan is opening they are in a continuous fast upon their ears. They understand these senses from the sense of hearing, the sense of seeing, the sense of touch, the sense of smell and the sense of taste. These are correlated with the latayif of the heart that from the Qalb to the Sir to Sir o Sir to Khafa and then the Akhfa of their heart. It means there is a reality and a second level of hearing. The muttaqeen are asking us to enter a state in which I am trying yaa Rabbi to abstain from hearing that which is of no benefit to me. Abstain from sounds that are of no benefit to my heart, from discussions and dialogue that only bring darkness to my heart and belief, backbiting and whispering and gossiping. 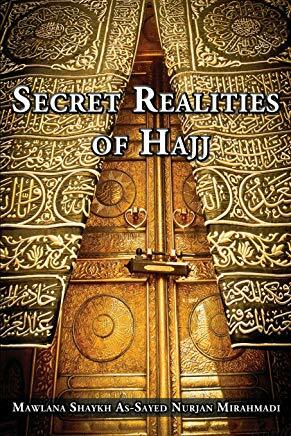 All of these bad characteristics that Shaytan inspires within a believer and a non-believer and within humanity, to darken the heart; so that reality of hearing never opens and that reality of the Qalb never open. 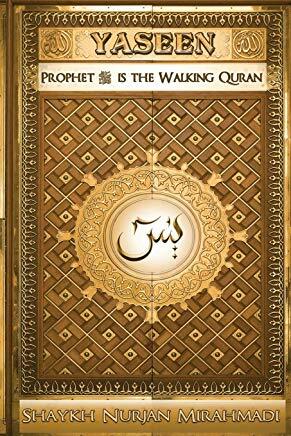 It means if they don’t have yaqeen of hearing there is no way that the latayif of the Qalb has opened. Then they begin to remind that you have these senses, the five senses for hidayat (guidance) for the body but these senses are (also) controlling the soul. It means every sense has two doors, one for the body, one for the soul. You are seeing but yet you don’t see. And that we use the eyes to be engaged in everything from the material world. Everything that you see with your eyes, you are capturing into your heart and darkening your heart. You are accountable for what your eyes see. Now Shaytan makes everything to be available through your phone, to see things that will completely darken the heart. It brings darkness to the heart so again the heart won’t open. Means the latayif of the Sir, and its secret won’t open until the believer has control over their sight. They are trained to keep their nazar bar qadam, “keep your eyes upon your feet”, don’t worry about the left or right; don’t worry about who is in front or who is behind, who has what or what is happening. You keep your eyes upon your feet in life and pray that those feet take you to holy places. If these feet are not under guidance, you will be in all the wrong places at the wrong time. You find every holy association but your feet will take you somewhere else that is not holy. It means our whole life is that Yaa Rabbi let my eyes be upon my feet and that inspire these feet to always move in Your direction. Then they begin to train that if you want to control your sight and the hunger that comes through your eyes, then keep your eyes closed, make them fast. As your stomach is fasting from all the nice treats that you like to eat, your eyes have to enter a state of fast, in which you sit often and close your eyes. That I am not going to give you from the candy of this world. I am not going to give you from all these entertainments and you begin to close your eyes. 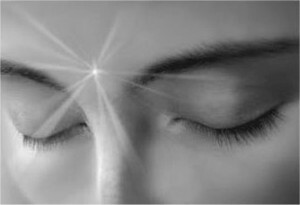 Only at the time when you fast with your ears and your eyes, you can begin to open the sense of your consciousness. That I am hearing my voice speak to me because I am fasting with my ears. 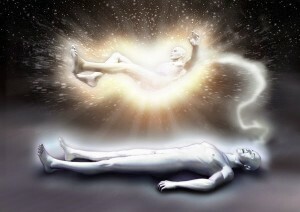 I am hearing my consciousness and something is trying to be said to me, some inspiration is trying to come to me, when I enter a state of fasting. As soon as I fast with my eyes, I begin to close my eyes often and imagine yaa Rabbi I am like in my qabr, my grave. And this world is an illusion and what would the next world hold for me? As soon as you begin to close your eyes you become subtle through your soul, you may begin to see things, experience things, begin to feel things. It means they begin to teach from the Sir Sir. That from hearing, from seeing, now the sense of touch. That for Sir Sir to open its reality, it has to enter into a state of touch. To come against your nafs, your hawa, your dunya and Shaytan come against these enemies of the body, so that you can bring the power of your soul back. The Sir Sir has to do with Alam al Mithal in the World of Light. If you are not able to enter a state in which you put a hardship upon your physicality, the fasting of touch and sensation – hawa is the pleasures of your physicality – if you can’t control that hawa and enter into a state the Sir Sir can’t open. It means they put a hardship upon their physicality. They come and say, “O shaykh this is going to be hard!” that is exactly the prescription. When they sit in a position that increases the difficulty and pain within their contemplation, that is the solution. When we were young we were able to sit all the time upon our knees and have a tremendous amount of pain. Because the pain wouldn’t let you sleep so you would be able to sit for long periods of time in contemplation because the pain just agitates you. It is not about entering a state of complete comfort and sleeping, meditation/tafakkur and sleeping are two different understandings. Then Prophet (sallallahu alayhi wa sallam) was teaching even his sleep was through difficulty. Prophet (sallallahu alayhi wa sallam) slept on a bamboo mat so that the marks from his sleeping were visible to his Companions. They would say, “Yaa Sayyidi, yaa Rasulul Kareem, yaa Habibul ‘Azheem, [O my master, O the generous Messenger, O the Great Beloved] let us get you something beautiful to sleep, why is it like this.” The teaching was that this difficulty allows me to wake up for my Fajr (morning prayer). We know through training that when you put difficulty upon yourself your sleep is not going to be too deep. So then when people say they can’t wake up for Fajr, drink a lot of water and sleep on the floor. The water makes you constantly get up to make wudu (ablution), what’s wrong with that? Get up, make wudu, it’s noorun `ala noor [Light upon Light]. That every time when you wash and make wudu it is light upon light and you will be glowing on the Day of Judgement. They recommend that you take a big bottle of water and drink right before your sleep so that you wash all night long. And train yourself that you don’t sleep more than two hours, two hours, two hours; don’t go deep into your sleep. That is different from what this world is teaching you with a Serta comfort bed, with all that cushion and pillow top so that you just melt into it and never come out. Then we are amazed that how we cannot (get up) to pray and we can’t do anything. But the way of struggling was they slept on the floor and drank a lot of water and throughout the night they were struggling with themselves so that the sleep would never be so deep. That way they came against their hawa, against their desires and through that then the Sir o Sir can be (opened). We hear and we obey; not we hear ourselves and we obey but we hear the call of Allah (‘Azza wa Jal) and what is the higher conscious is calling us. Our conscious, our greater soul is always in the presence of Allah (‘Azza wa Jal). He didn’t give us that Trust to destroy. It is only a portion of that light that is sent into your body, the greater portion is always in Divinely Presence so that we can hear. 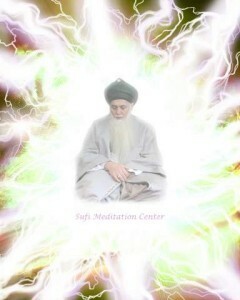 The fasting should be so that I open my hearing, I open my seeing, I open my sense of touch to become latif and subtle. 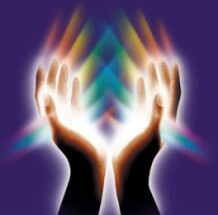 That not the physical but to be spiritual, to feel spiritual energy. If Allah (‘Azza wa Jal) is opening that means you begin to feel what others don’t feel and your senses become subtle. عن أنس بن مالك رضي الله عنه أن رسول الله ﷺ قال:حُبِّب إليَّ مِنْ دُنْيَاكُمْ : اَلطِّيِبْ؛ وَالنِّسَاءُ؛ وَجُعِلَتْ قُرَّةُ عَيْنِيْ فِي الصَّلَاةْ». It is a deep state of reality. That when you are sensitive through your breath and are bringing in the energy of your breath, that sensitivity from fasting is that you safeguard what you are breathing. You don’t take yourself where people are poisoning themselves, breathing in poison and you breath freely in there! 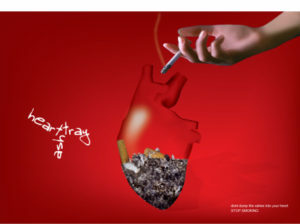 They say that second hand smoke kills you more than first hand smoke. Either first or second hand you shouldn’t be around it. The breath you are bringing in is from the Divine Power, the Divine Grace, the Divine Blessing. That breath that comes in comes with the secret of all Qudrah(Divine Power). That Qudrah goes into the lungs and from the lungs it mixes with the blood and then into the heart. 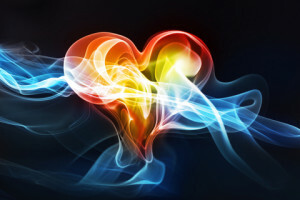 If that power is real and clean, it enters into the heart, from the heart it dresses all the organs. If that breath is contaminated, it will kill the heart. And that is all that Shaytan wants: to destroy the heart of the believer. Once they begin to safeguard their breath and cherish their breath, then they begin to sense that through the siyaam (fasting) of their breath; they smell what people can’t smell. They can smell the bad characteristics of other people because everybody puts a fragrance (or smell) within their heart. If the heart is bad and the character is bad, they produce a smell worse than the toilet. That is why when pious people go by graveyards the smell is very extreme because now most people who have died, their condition is very bad and they release a horrific smell because their soul was never fragranced with good actions. It means then the perfumes are important, the attars and all the fragrances that you are putting on is for a realm that appreciates that reality; the spiritual realm that their life and their existence is through that fragrance. So that each of these levels [of the heart] have tremendous realities. Now when the muttaqeen are entering the realities of the Khafa level of their heart, their du’a is not by kalam (words), their prayer is not by tongue. There is no tongue in Paradise; there is no body, so why do you have to have a tongue? It is light, in the World of Light there is only light. So the du’a (supplication) at the Khafa reality is from the Malayikah. That when the heart of the ‘ashiqeen produces a fire. When the fire of their heart is lit, they merely begin to make a du’a, like a fragrance, an attar, the attar hits their heart and the Malayikah are immediately attracted to that fragrance and they carry that fragrance into the Divinely Presence. That is why their prayers are accepted in Divinely Presence. It is not at the level of the kalam. It is beyond the level of Iman and now into the oceans of Maqam al Ihsan. They are operating through their light and through realities. Their hearts are burning, they are `ashiqeen with the love of Prophet (sallallahu alayhi wa sallam). 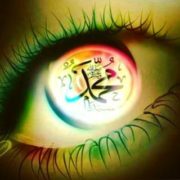 With love for Allah (‘Azza wa Jal) which is supreme, and love of Prophet (sallallahu alayhi wa sallam), and love of Awliyaullah. Their heart is always like a charcoal and they keep burning it [charcoal] to show you, the heart is like a charcoal. We have the fragrances [incense] downstairs, you light the charcoal, [to burn the incense]. When the charcoal is lit, the heart of the believer is lit, as soon as they make a du’a, it releases a fragrance upon their heart and the angels are attracted to the fragrance and carry the fragrance into the Divinely Presence. They don’t carry the words of the servant because Allah (‘Azza wa Jal) says: when I get you back up there I am going to seal your mouth. That is the first thing Allah said: He is going to seal the mouth because the mouth says many things and has nothing of any truth in it. What is true is the heart of the believer. 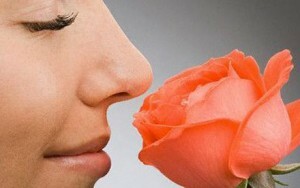 It means then fasting from the sense of smell and opening the reality of the sense of smell. Then, the highest level which is Akhfa is the fast of the taste. And that is why Allah (‘Azza wa Jal) ordered Ramadan for us. The highest level of all the senses when they are sensing with their hearing, sensing what they are seeing, sensing their life of touch and life of pleasure to themselves, and begin to fast with the breath, and appreciate the breath that is coming in, and the fragrance of that breath that is dressing them, then Allah (‘Azza wa Jal) opens for them the reality of taste. Now you will taste what you are hearing, you will taste what you are seeing, you will taste what you are touching. For them everything is real at the level of taste. This is not from reading books. This is not from reading from the scholars of the past. The muttaqeen are tasting and are in that ocean of reality. There is no permission in Naqshbandiya to take something, read something and tell people something. You’re a liar because it is not real for you! You only have permission to speak the truth which you are experiencing and you have permission to speak from it. If you are not experiencing, you have no permission to speak from it. You can hear the shaykh’s teaching but you cannot give to other people that talk. When you are not tasting from that, and understanding that reality. It means then at the Khafa reality, everything Allah (‘Azza wa Jal) begins to open for them to taste. They taste the Zikr, they are not just saying the Zikr but every cell in their body is moving with that Zikr. They taste from those realities that Allah (‘Azza wa Jal) opened for them, to see it, to smell it, to understand it, to taste it and it is burnt upon their heart as a reality for them. Then Ramadan is much greater than just being hungry for a few hours. It is a tremendous gift from Allah (‘Azza wa Jal) to open for us a perpetual state of abstinence. 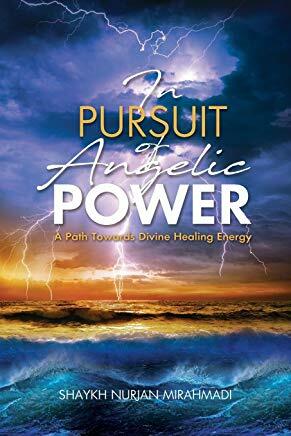 Abstaining from everything that is bad and opening the great realities that God has given to us as our potential, and not the physical being that we are walking upon the Earth. Right now we are the “Planet of the Apes” [movie]; we are a few monkeys that we can talk and people are fascinated by the fact that we can talk but this was not the reality that God had intended for us.It means we have devolved in who we are (today). That Allah (‘Azza wa Jal) has given us a tremendous gift and that gift to be dressed and blessed upon us. And that we reach what Allah (‘Azza wa Jal) wanted us to reach, what Prophet (sallallahu alayhi wa sallam) wanted us to reach, and what Awliyaullah are continually inspiring within our hearts to reach. Don’t waste this time that has been given to you for something that has no value, but seek your eternal reality before your time is finished and no one knows when their time is finished!